Our Scientific Board is comprised of the founders of D-Helix - a group of world-renown scientists. They have been a strong voice and contributors to scientific innovation with decades of research and discovery that constitutes their life's work. They continue to provide the company with invaluable expertise and advice in identifying and developing technology with strong commercial viability. DR. RAY BRESSAN, DISTINGUISHED PROFESSOR OF PLANT PHYSIOLOGY AT PURDUE UNIVERSITY. He is the inventor of numerous patented technologies in the area of abiotic stress. He holds a Ph.D. in Plant Physiology from Colorado State University. 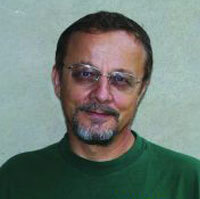 Professor Bressan has taught at Purdue since 1978. His research program involves establishing cell systems to study the physiology and biochemistry of variants with increased tolerance to water and salt stress and isolating and studying genes involved in cellular tolerance. He has provided major contribution to our current understanding of plant adaptation to salt stress, documented in over 200 scientific papers and worldwide recognition of his work. He received research grants including with collaborators for a total $24,500,000.00 and served as consultant to International Organizations, Governments and private biotech companies. 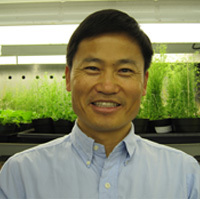 DR. JIAN-KANG ZHU, DISTINGUISHED PROFESSOR, DEPARTMENTS OF HORTICULTURE AND LANDSCAPE ARCHITECTURE AND BIOCHEMISTRY, PURDUE UNIVERSITY AND PROFESSOR, SHANGHAI CENTER FOR PLANT STRESS BIOLOGY AND INSTITUTE OF PLANT PHYSIOLOGY AND ECOLOGY, SHANGHAI INSTITUTES FOR BIOLOGICAL SCIENCES, CHINESE ACADEMY OF SCIENCES IN SHANGHAI, CHINA. Dr. Zhu earned his bachelor's degree in soils and agricultural chemistry from Beijing Agricultural University; his master's degree in botany from the University of California, Riverside, and his doctorate in plant physiology from Purdue University. Dr. Zhu previously held an appointment at The University of California, Riverside, where he was the Jane Johnson Chair Professor in the Institute for Integrative Genome Biology and Department of Botany and Plant Sciences. He is internationally renowned for his creative and path-breaking research that has sought to elucidate the signaling pathways in plants that govern their responses to environmental stresses. His research has contributed fundamentally to current understanding of the molecular-genetic mechanisms underlying salinity tolerance, drought tolerance, and low temperature stress in plants. Dr. Zhu's laboratory has been central in the effort to identify key genes that could be manipulated to modify crop responses to abiotic stresses, with the ultimate goals of both enhanced agriculture productivity and decreased degradation of the environment. DR. ALBINO MAGGIO, ASSISTANT PROFESSOR OF AGRONOMY AND CROP SCIENCE AT THE DEPARTMENT OF AGRICULTURAL SCIENCES OF THE UNIVERSITY OF NAPLES FEDERICO II - ITALY. Dr. Maggio received his master's degree in Agricultural Sciences from University of Naples Federico II (Italy) and his Ph.D. in Horticulture from Purdue University. His field of expertise is functional biology of plant adaptation to environmental constraints (salinity, drought) and identification of critical stress tolerance traits in agricultural crops. He has worked at the USDA Salinity Laboratory of Riverside (CA-USA) on biophysical models to assess plant responses to saline stress and he has later provided the first functional evidence for the existence of a protein-mediated transmembrane water pathway in tomato root systems. He has a quite unique expertise to work at the interface between molecular biology, plant physiology and agronomy. More recently, he has been engaged in global food security analyses and management of crop systems under climate change. 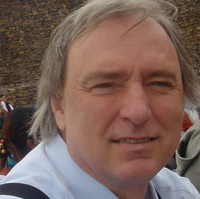 He has published over 100 papers in refereed journals, book chapters and conference proceedings. 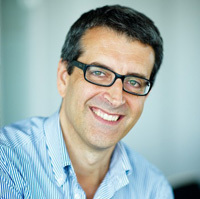 DR. JOSÉ M. PARDO, RESEARCH PROFESSOR OF THE SPANISH NATIONAL RESEARCH COUNCIL (C.S.I.C.) AND DIRECTOR AT INSTITUTO DE RECURSOS NATURALES Y AGROBIOLOGIA, IN SEVILLA, SPAIN. Dr. Pardo received his B.S. in Biology from Universidad de Sevilla, Spain. He continued on to work on his Ph.D. in Biology at Centro de Biologia Molecular, Consejo Superior de Investigaciones Cientificas and Universidad Autonoma de Madrid, Spain, on the biochemical basis of resistance to antibiotics in the producing Streptomyces and the genetic engineering of extracellular glucoamylases of Saccharomyces for the production of beer with low carbohydrate content. His current research includes molecular and genetic analysis of plant responses to salinity and drought stress in Arabidopsis and rice, using yeast as model system to identify critical components in stress tolerance. He has served as Manager of the National Biotechnology Program and funded the Spanish Network on Plant Abiotic Stress. He has a remarkable level of publications on the molecular biology of salt stress response mechanisms in plants. DR. HANS J. BOHNERT, PROFESSOR EMERITUS (PLANT BIOLOGY & MOLECULAR GENETICS) AT UNIVERSITY OF ILLINOIS CHAMPAIGN URBANA. Prof. Bohnert received his Ph.D. at Heidelberg University, Germany, in 1972 and he is now retired from the University of Illinois where he has served as professor of biology and molecular genetics. Expert on molecular and molecular genetic reactions of plants to disturbances in the environment, Prof. Bohnert has worked on the characterization of T-DNA insertion mutants that are compromised in their abiotic or biotic stress resistance and plant reactions to stress in the field. 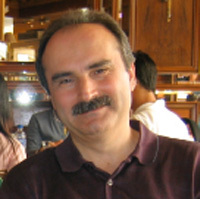 In recent years his laboratory specialized on bioinformatics analyses of huge datasets on Arabidopsis transcript profiles that have been deposited in the databanks. He has successfully coordinated the sequencing of the genome of the extremophile crucifer Thellungiella parvula, which has been a significant step forward towards our understanding of fundamental mechanisms that confer tolerance to multiple abiotic stress. Prof. Bohnert has produced the first transgenic plant tolerant to salt stress and is co-inventor of the technology for herbicide resistance (glyphosate) in plants. He has an outstanding record of publications.